French reinsurance firm SCOR has launched a new collateralized reinsurance sidecar vehicle in time for the January renewals. Atlas Reinsurance X Limited launched at the end of 2013 and its $55.5m shares were listed in Ireland. The Irish Stock Exchange listing information shows that two tranches of participating notes were listed under the Atlas Reinsurance X Limited vehicle late on the 30th December. Sources told Artemis that this is SCOR’s retrocessional reinsurance sidecar. One tranche of $55m Class A notes and one tranche of $500,000 Class B notes have been listed, both of which have a maturity date of the 30th April 2017. The maturity date is interesting, as reinsurance sidecars are often one-year vehicles involving the participation of third-party capital providers in a quota share of a reinsurers business. In the case of Atlas Reinsurance X SCOR will have secured a multi-year source of collateralized retrocessional reinsurance protection and the notes may have a term of as much as 3.5 years if the sidecar is effectively on-risk as of now. SCOR has used variations on the Atlas name for a number of its catastrophe bonds and mortality ILS bonds over the years, but this is the first time it has used Atlas in naming a sidecar. SCOR declined to comment on the sidecar deal at this time. With the sidecar offering multi-year protection and having its notes listed on a stock exchange it suggests that the transaction may have involved the transformation of the Atlas Reinsurance X sidecar into participation note form to suit certain investors who required this to meet their mandates. This is a common enough occurrence, taking risk from reinsurance contracts and transforming it into securitized notes for investors to allocate capital to, in the cat bond world but not as prevalent in sidecars apart from Swiss Re’s Sector Re V Ltd. sidecar. At this time we have no information on the underlying risk ceded to the sidecar, but with the notes issued by Atlas Re X scheduled to mature at the end of April 2017 it is possible that one peril included is European windstorm, as the windstorm season in Europe is generally thought to end by that time of the year. Also worth noting is the fact that SCOR’s Atlas VI Capital Ltd. (Series 2010-1) matures in April 2014 and provided some European windstorm cover, so the Atlas Reinsurance X sidecar may provide a level of replacement for some of the cover provided by that transaction. SCOR is a regular issuer of catastrophe bonds, ILS, industry loss warranties (ILW’s) and contingent capital as part of its retrocessional program. With this latest transaction, which may be SCOR’s first retro sidecar, it has once again shown that it has a desire to fully diversify its sources of risk capital and that investors from the capital markets continue to play an increasingly important role in SCOR’s retro reinsurance program. 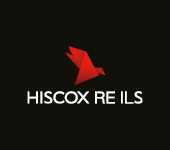 We will update you should any more information on SCOR’s Atlas Reinsurance X Limited sidecar become available.